FG should recover $21.7bn from NNPC, instead of taking loan – Royal Times of Nigeria. Human right lawyer, Femi Falan has urged the Federal Government to recover unremitted funds from the Nigerian National Petroleum Corporation (NNPC) rather than borrowing. 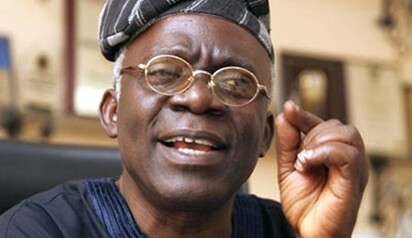 Falana spoke on Wednesday in Lagos at a national seminar on Promoting Transparency and Accountability in the Recovery of Stolen Asset in Nigeria: Agenda for Reform organized by Socio-Economic Rights and Accountability Project (SERAP) in collaboration with the Ford Foundation. He said, “$21.7 billion and N376 billion have been withheld by NNPC since 1999”. “The Federal Government has to re-focus its recovery of stolen assets by vigorously pursuing recovery of assets from multinational corporations and not just the countries that illegally keeping the looted wealth of the country,”.